Our upright shock mounting system for Vaterra Twin Hammers features mounting holes for a K3 winch and slots for your battery strap. Anodized black. Designed for 80mm shocks, the shock tower will work very well with 70-85 mm shocks. More than 85mm and you will exceed the limits of suspension travel and experience the same problems as you are trying to eliminate by switching the new shock setup. Bellcrank steering: our upright shock mounting system is designed to reuse the stock steering BUT it also gives you the option for mounting a ball bearing Traxxas steering bellcrank (for Rustler, Stampede, Slash, and Bandit). The steering conversion is DIY and requires a hobby vise and dremel tool. 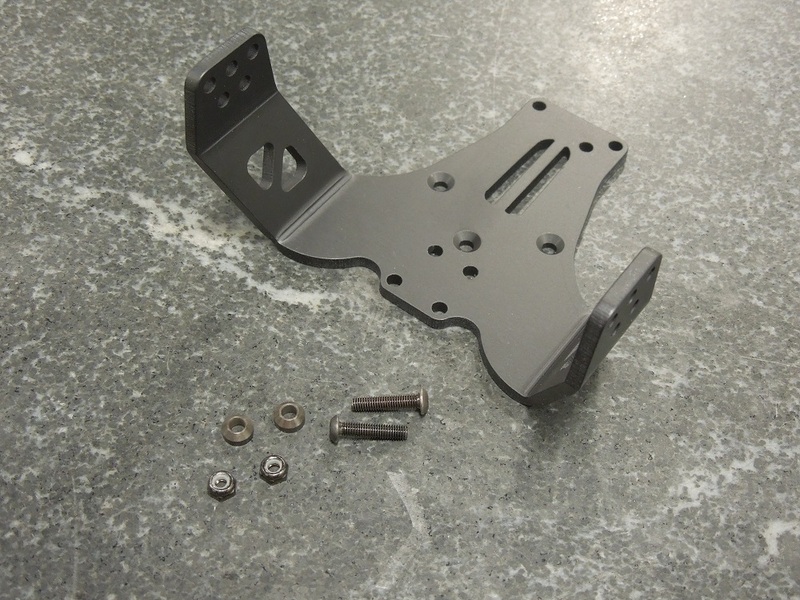 You will also need an aluminum servo horn and our steering post hardware kit.